Most people are worried about the Chicago Bears coaching staff. Not for the reasons they’re used to though. For the first time in years, it genuinely feels like this team has a full staff filled with capable minds. Matt Nagy has the team believing and winning. Vic Fangio controls one of the best defenses in football. Then there’s Mark Helfrich who’s had a big hand in completely revamping the Bears offense. This has created some concern. Why? Winning attracts attention from other NFL teams. One of the favorite vocations is raiding coaching staffs in search of potential head coach candidates. Given the success Fangio and Helfrich are having this year, it’s created a major buzz about both potentially leaving in 2019. However, that may be overblown. Helfrich has already said he’s not interested in other jobs at the moment. Fangio is open to the idea but at 60-years old his chances of getting one are remoted at this point. No, the bigger concern shouldn’t be the Bears coaching staff. It should be their front office. Bears GM Ryan Pace deserves love. Aside from Khalil Mack trade and other maneuvers, in 2017 NFL Draft he got the QB of his choice (maybe not others’) but in 4th round grabbed Eddie Jackson and Tarik Cohen. Hired Nagy & persuaded DC Fangio to stay. GM Ryan Pace gets most of the credit for the job done these past four seasons in the total rebuild of the Bears roster. Rightfully so. It’s been his show from the start. Still, he has been quick to give credit to plenty of people on his staff who’ve helped make it happen. The fact he was able to completely tear down a roster to its foundation and rebuild it this quickly is a feat that’s hard to accomplish. It doesn’t happen without good people in the front office finding the talent to pull it off. Looking ahead to next offseason, there’s a strong possibility that one of their number could be interviewed for potential GM openings across the NFL. Here are the two names who might attract the most attention. Pace scored big time when he secured Kelly from Denver. Nobody knew it yet. After grooming his football business acumen in the old United Indoor Football League, he became a scout for the Denver Broncos in 2007. From there he quickly rose up the ranks before becoming their Assistant Director of Pro Personnel in 2010. From that point on, the Broncos enjoyed some of the best success they’ve ever had in free agency. During his five seasons at that job, they added no fewer than eight veteran players who would make at least one Pro Bowl with the team. This included Willis McGahee, Peyton Manning, DeMarcus Ware, Aqib Talib, Emmanuel Sanders, T.J. Ward, and Louis Vasquez. Since arriving in Chicago? He’s only continued to do good work. As things stand with five games to go, two of his key additions to the roster are in line for their first possible Pro Bowl. Akiem Hicks has dominated since arriving in 2016. Danny Trevathan has rounded into one of the most underrated inside linebackers in football. This isn’t counting additions like Allen Robinson, Taylor Gabriel, and Trey Burton who have completely revamped the offense. This name has quietly generated some buzz around the league, and for good reason. Mark Sadowski has been part of the Bears organization for years. It wasn’t until 2017 though that he was promoted to become their Director of College Scouting after the departure of Joe Douglas to Philadelphia. 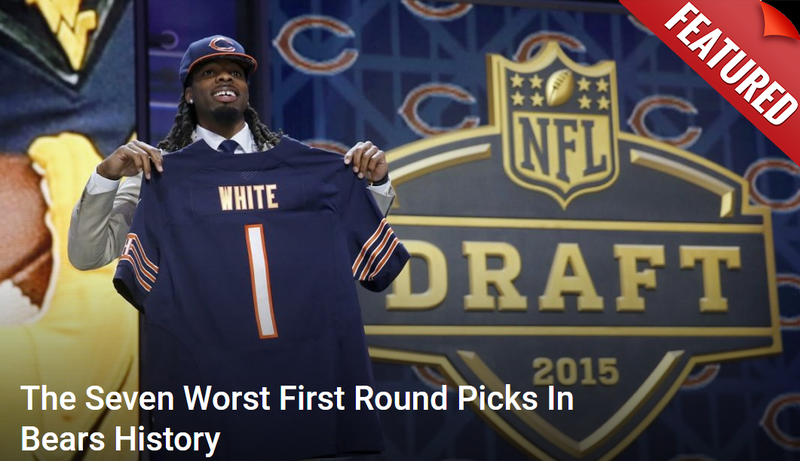 It can’t be a coincidence that this move has also coincided with two of the best drafts Chicago has had in years. Between 2017 and 2018, the Bears made a total of 12 picks. Based on early indications, it looks like two of those picks are headed towards the Pro Bowl (Eddie Jackson and Tarik Cohen) with four others (Mitch Trubisky, Roquan Smith, James Daniels, Anthony Miller) who might not be far behind. That’s half of a rookie crop he’s helped acquire that look like potential studs. One can bet other teams are taking careful note of this as they assemble their list of potential candidates next year.